Since I discovered The Sims computer game, I have been hooked. If I remember it right, it was in 2000 when I started playing the addicting game. You create people (sims) and you play like they have a life of their own. They have basic needs, families, friends, jobs, houses. Then you buy the Expansion Packs to add on to your game, which I all have. Back then, the game was only in 2D. All I thought about was the game. I would be crazy downloading stuff for my game from the internet. My favorite site was The Sims Resource. While I'm commuting to work, I would think about The Sims, and plan what I'll do with my sims when I get home. It will take me hours to play. When I moved to Japan, I brought all my sims games with me, and I would still play for hours and hours. It's the only game I play on the computer. I don't like any of the other simulation games, role playing or war games. They're too realistic it scares me. 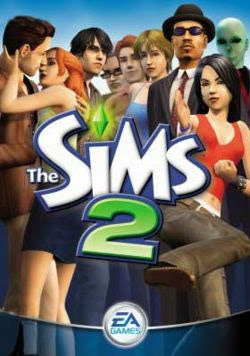 When The Sims 2 came out, I was very excited. This time, the game is in 3D. Man it looks a lot better and the detail in the graphics is just great. I was all the more hooked. I made sure I have the new expansion pack upon release. Without further ado, I tell you now that after over a year of not "really" playing this favorite game of mine, I played it yesterday from approximately 10:30 AM to 12:30 am. I kid you not, I was still able to prepare lunch and do some chores. But I'd be honest with you because I just had some snacks for dinner, since my husband was at work. And I had a lot of fun. So there.